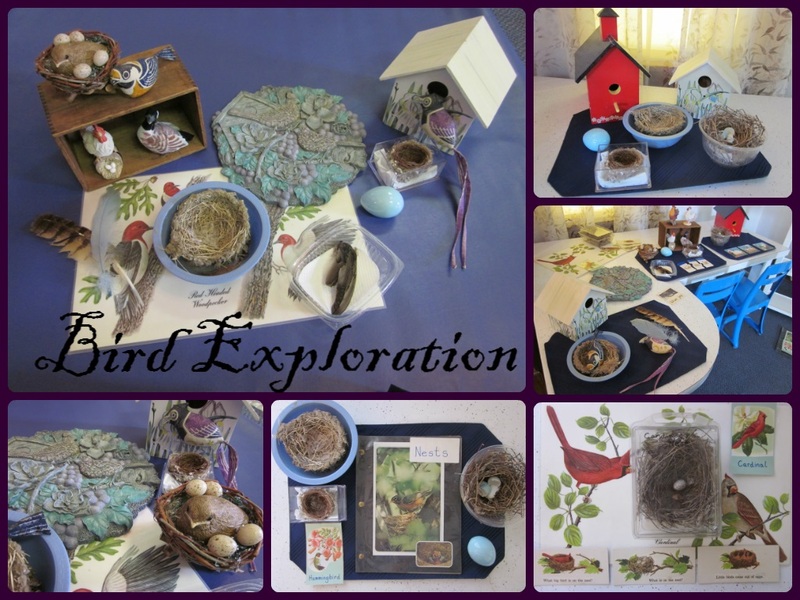 My hope is to create an engaging object table for observations of bird life with real nests from the neighborhood, hatched egg shells found on the ground, since mama bird tosses them out of the nest to make room for baby, sequence cards, feathers and bird houses. The objective is for the table to be enticing to children calling to them, "Come! Learn here! "This is the first time I have laid such a variety on a table at once. 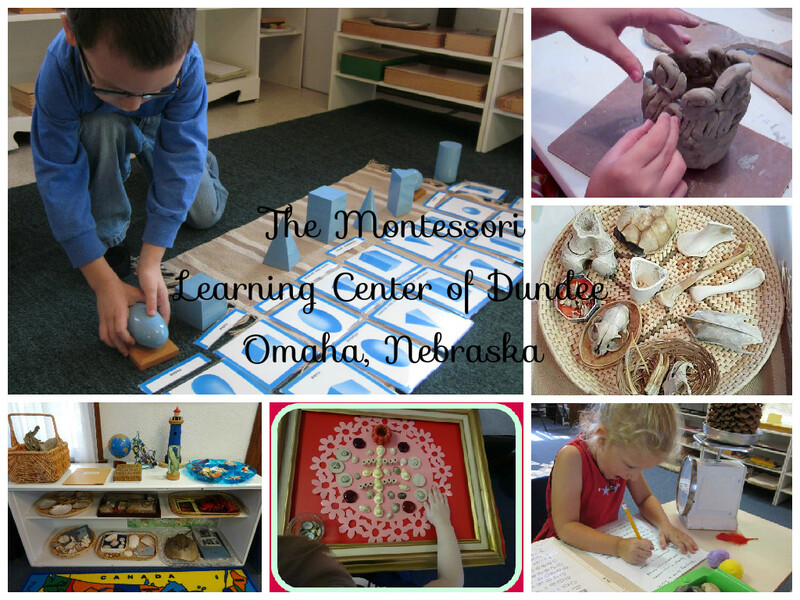 Usually, Montessori way is to put each activity on a separate tray. Visually, this is exciting. A trial run for this teacher! 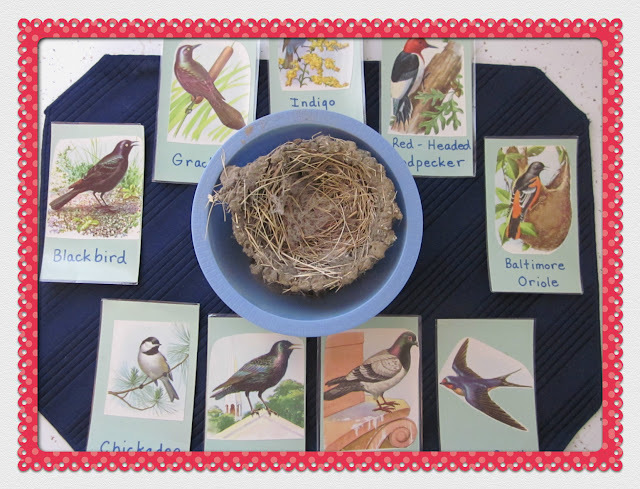 A real cardinal nest and egg with sequence cards laid on a bird place mat. Blue robin egg shells are abundant around my school. 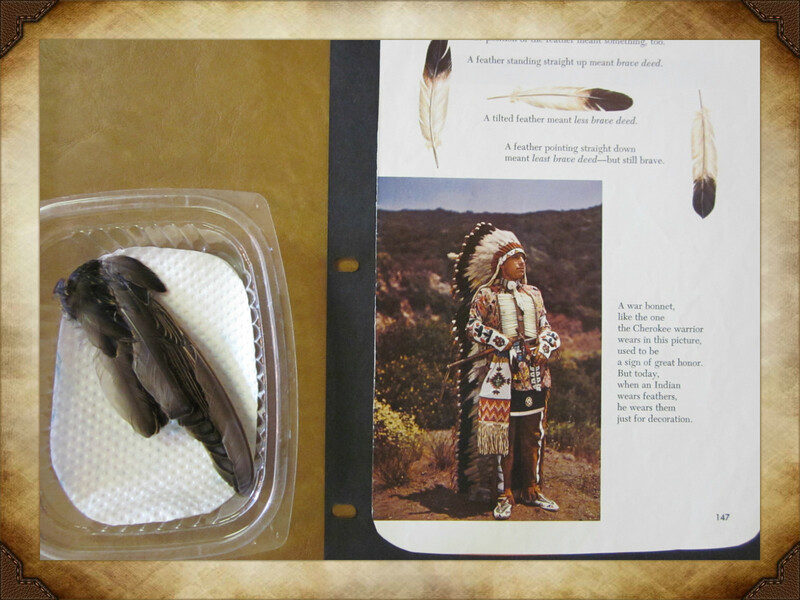 This shows just a small part of a large set of bird story cards. 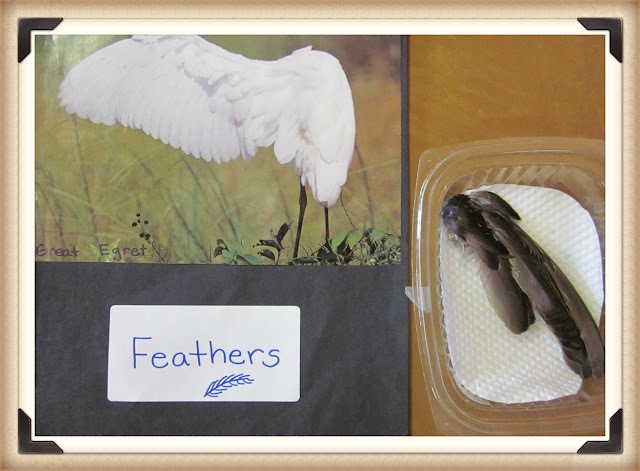 I hand out the pictures to the kids and read the description and they raise their hand to say the name. 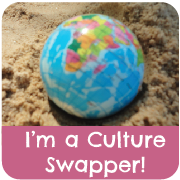 This is a favorite activity because it starts a lot of discussion. 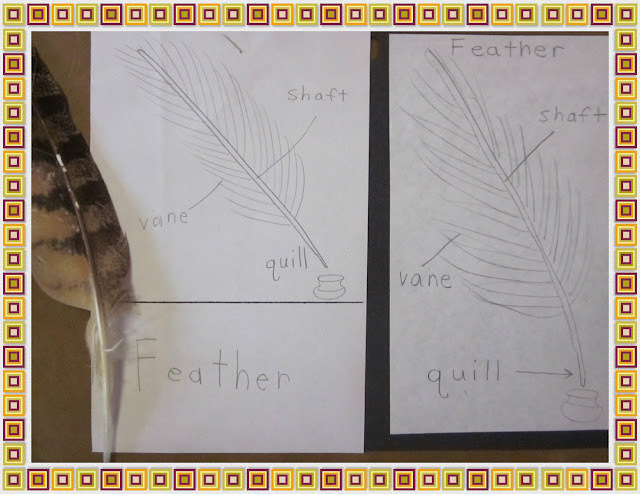 Drawn Parts of the Feather. Kids can copy this. Bird wing a cat left behind. Beaks and how they are used. Enticing object grouping for bird exploration on a floor mat. If I was a child I would love to sit here! I think pulling the unit off the shelf and laying them out as a group will bring a lot of enthusiasm and desire to be involved with this unit. I will station a teacher to guide the children at first. 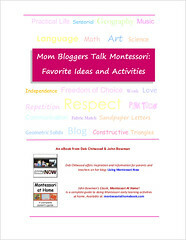 Montessori instruction has been in my blood since 1976. I have been in the classroom all of these years. Being somewhat rebellious, I have done my best work alone in my own school where I can manage my time and follow my own lead minute to minute. Tired of the Pink Tower? We will do art all summer. It has worked well. But, each year I need a new theme to keep things fresh. One year it was setting up my two You Tube channels. 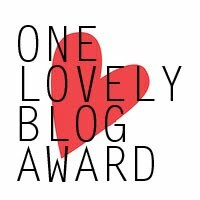 Last year it was going full tilt on Pinterest, which has opened a huge window for all of us teachers. Wanting more open creativity in my classroom I started doing free form design using materials in a more flexible way. 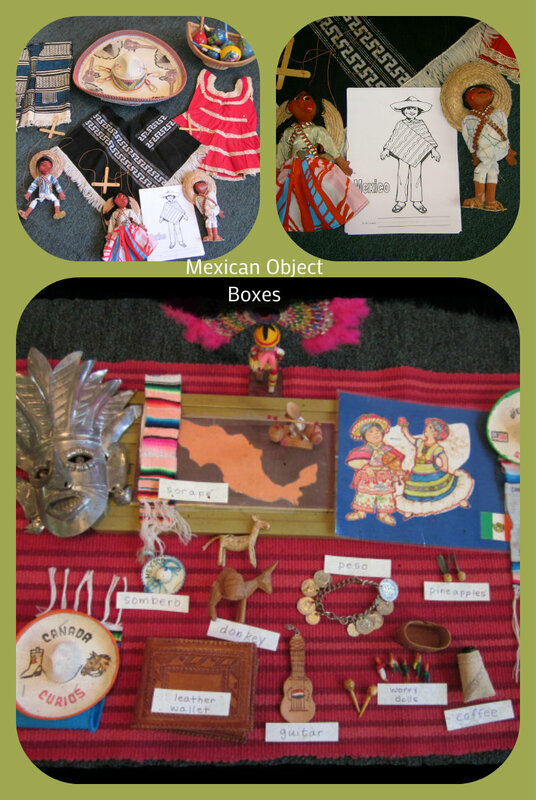 As I saw similar posts on Pinterest I came to understand this has been done for a long time using “loose parts” in Reggio. 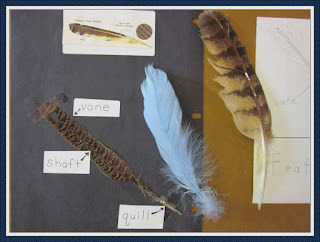 I am awe struck by the way Reggio beautifully presents natural objects for creative exploration. They have won me over and I will be studying the method and incorporating Reggio’s style and free manner of handling classroom arrangement.